AUSTIN, TX, March 27, 2014 – Starting today, breakfast lovers and B&B fans are invited to help select the best B&B breakfast in North America during the BedandBreakfast.com® Best B&B Breakfast Tournament™. 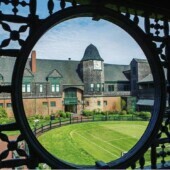 The Marshall Slocum Inn, in Newport, RI, is one of 16 bed and breakfasts to make the cut for the two-week “sweets to beat” recipe battle for the best B&B breakfast. 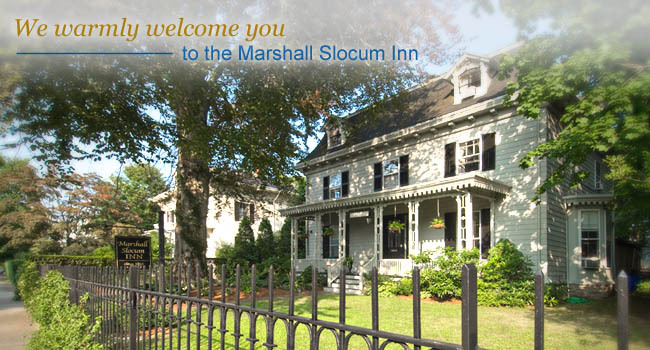 The Marshall Slocum Inn was selected by guest judges for its Banana Stuffed Cinnamon French Toast. 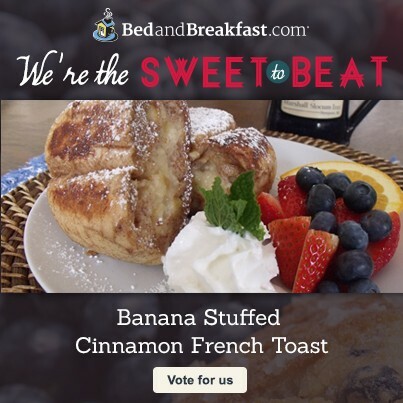 BedandBreakfast.com’s Best B&B Breakfast Tournament contest works in brackets, much like the NCAA Basketball®’s March Madness®, with BedandBreakfast.com’s Facebook® fans voting on their favorites. The recipes in each bracket winning the most votes move on to the next round of eight, four, and the final two, which will battle it out in a “sweets to beat” showdown on April 10. The winner will be announced April 11. Click here for a list of the Sweet 16 finalists. The Sweet 16 were chosen based on recipe creativity, uniqueness and appeal by guest judges including Anne Banas, SmarterTravel.com; Genevieve Shaw Brown, ABC News; Adrien Glover, Travel + Leisure; and Larry Olmsted, USAToday.com Great American Bites columnist. In the past two years, sweet beat out savory. In 2013, the winning recipe was the Lemon Soufflé Pancakes with Blueberry Compote from the 1851 Historic Maple Hill Manor Bed and Breakfast in Springfield, Kentucky. 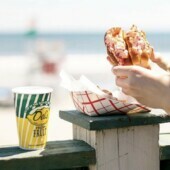 In 2012 (the inaugural year), the Bittersweet Chocolate Waffles Topped with Mint Butter Cream and Strawberry Sauce from the Lyttleton Inn in Littleton, Mass. won first place. 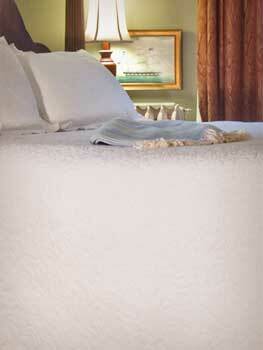 Go to BedandBreakfast.com’s Facebook page from March 27 to April 10 to vote for the best B&B breakfasts.